A truly exceptional childrens bed made by expert craftsmen in the UK. Available in a choice of colours and sizes, please choose from the options opposite. This stunning bed is available with optional under bed storage options and is shown above with a set of 3 drawers which operate on steel glide runners and offer a good practical storage solution. 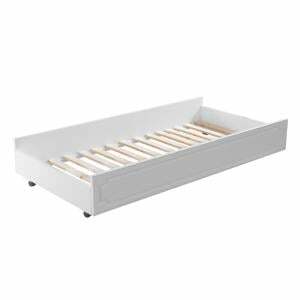 Easy to assemble yet so sturdy, we guarantee our childrens beds for quality giving you extra piece of mind. 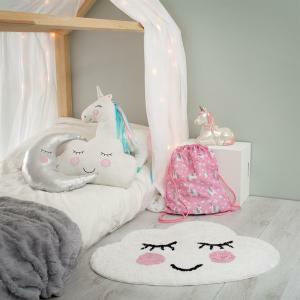 A magical children's bed suitable for any budding Prince or Princess. Scroll down below for suggested matching furniture options. 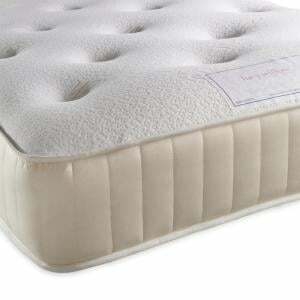 Fits a standard UK Single (3ft) Mattress. Easy to assemble - no more than 15-20 minutes although we can do this for you and remove the packaging if you select the assembly option at checkout. Firstly a great deal of care and affection! Using a combination of high grade Scandinavian Redwood Pine and composite panels both of which are sourced from UK manufacturers of which at least 70% of the timber content is FSC certified. Time honoured techniques are then applied by our skilled craftsmen to create a solid well made piece of furniture that your children will be able to use for many, many years. Where relevant all drawer sides, backs and bases are constructed from 18mm composite panels which are dovetail jointed and painted inside and out. The drawers open and close on a wood to wood mechanism and drawer stops are applied as standard. Every board, post and knob is sanded by hand and passed through our workshop. Whereupon we apply a highly durable and hard wearing painted finish with a 20% sheen (ie egg shell). The surfaces are a smooth pristine finish that can easily be wiped down and are resistant to everyday wear and tear. Within 4-5 weeks from order. Our 2 man delivery team will contact you a few days in advance of your intended delivery date to confirm a day and approximate time. If you require a call 30 minutes before they arrive please request this when they contact you. 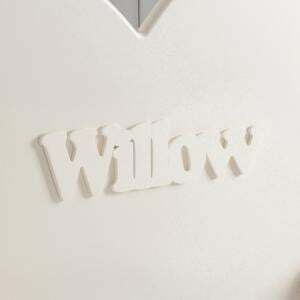 Your item(s) will be taken to the room of choice however for an extra cost we can install and remove the packaging for you. Should you require it this option is given at the checkout stage. IMPORTANT: All measurements are given on our website however for large and heavy items please make sure that you have considered any access restrictions (ie from parking to winding staircases). Lucy Willow cannot be held accountable for items that need to be returned in these instances. If in doubt please do call us on 0845 8030988 so that we can help you. 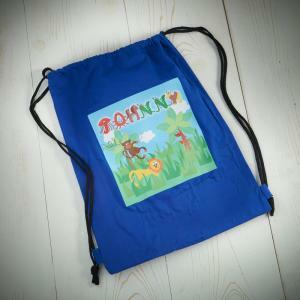 Would you like to personalise the item? 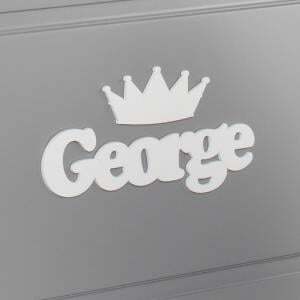 What colour would you like your personalisation and/or crown? Would you like a crown above the name? Why not give them a luxury mattress? Do you need a storage or sleepover bed? Do you need a mattress for the truckle? The delivery guys were brilliant, they set up my son bed. 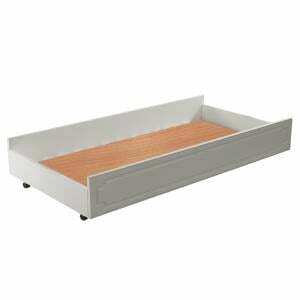 The beds are just perfect, very sturdy and look great. My review will be with you before the end of this week. Thank you for the wonderful prize, its appreciated greatly and am sure they will not need any new beds until they leave home!!!!!!!!!!!!! As you say the furniture is very nice and extremely well built. We are very happy! This is the most beautiful bed and the picture doesn't do it justice. It is a full size single so will last my son for many, many years. The delivery men were really lovely and put it together in no time at all (which was great as I'm no good at such things). 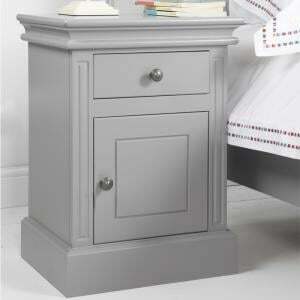 I ordered the chest of drawers today. A classic 2 over 2 chest of drawers with easy pull out drawers and drawer stops fitted as standard. Available in a choice of colours that can be colou..
A gorgeous childrens writing desk from our Pick and Mix Collection. 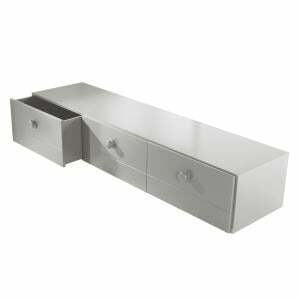 Available in a variety of colour options as well as matching furniture. Plenty of ..
A solid and robust tall bookcase with a deep drawer for added storage space. 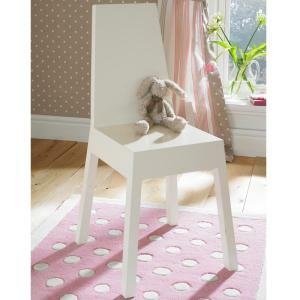 The shelves can be height adjusted and available in a choice of colours (..
A well made childrens chair. 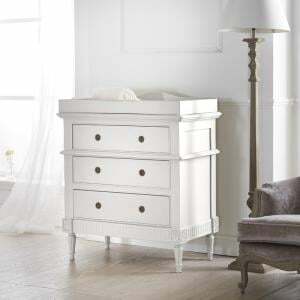 Made here by our factory here in the UK this is a perfect match to our Pick and Mix Childrens Desk or our luxury kids cab..
A beautiful chest of drawers that is both practical and stylish. Made by our factory here in the UK and built by master craftsmen this chest of drawer..
A large triple wardrobe made by master craftsmen in our own factory here in the UK. Featuring a full width hanging rail and our trademark durable pain..
A large double pedestal desk perfect for a growing boy or girl. 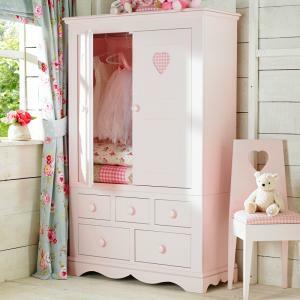 Made by master craftsmen in our own factory here in the UK this is a quality piece of ..
Our Pick and Mix collection of childrens furniture is made by our factory here in the UK. This chunky and practical bedside table is available in a ch..